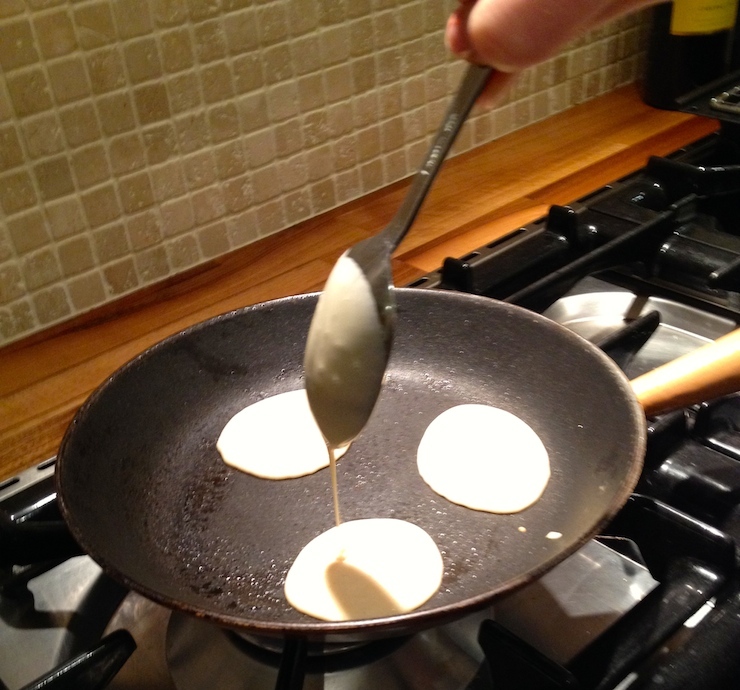 Pancake Day, also known as Shrove Tuesday, is always the day before Lent begins. In the western Christian tradition Lent is a time to give things up and so the day before Lent is a time to indulge. Some countries (such as Brazil and Italy) celebrate with a carnival at this time but here in the UK we generally just eat pancakes, a tradition originating in the need to use up the butter, milk and eggs which wouldn’t be eaten during Lent. There are different versions of the pancake around the world from the floppy Mexican tortilla to the tiny Dutch poffertje, which my youngest loved eating on our trip to Amsterdam. 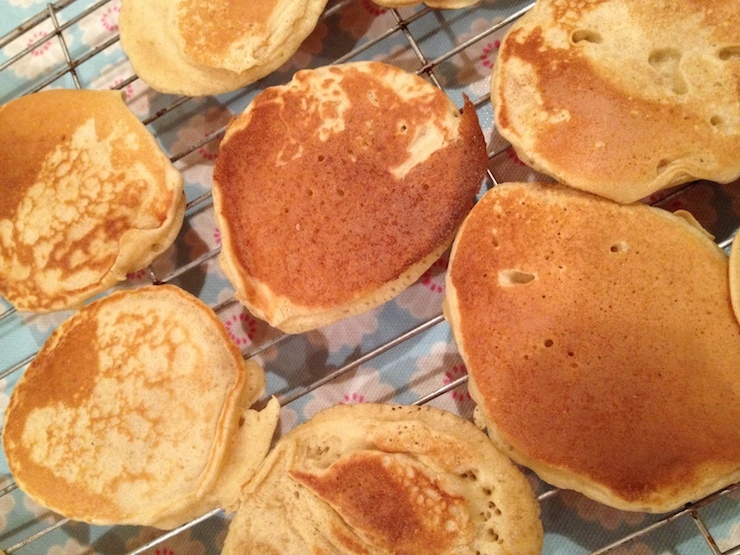 Our family favourite is Scotch pancakes, also known as drop scones. Apparently the Queen used a family recipe to make Scotch pancakes for US President Eisenhower when he visited Balmoral in 1959. 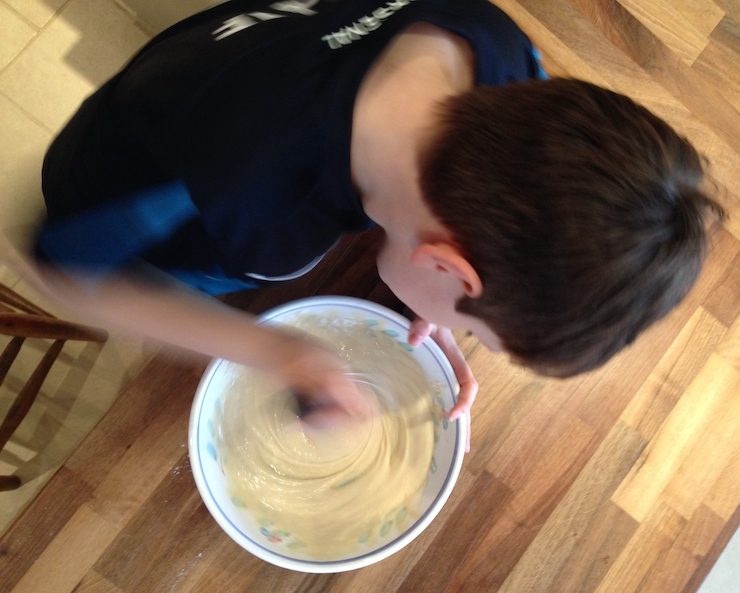 We also have a family recipe – my Mum’s, which I’m sharing with you here. Mum originally got her recipe from a cookery book which she won as a school prize in 1958. It’s an easy recipe to make with kids. 110g plain flour, 1/2 teaspoon bicarbonate of soda, 1/2 teaspoon cream of tartar, 1 level tablespoon of sugar, 1 egg, 1/4 pint milk (add the milk a little at a time as you don’t want the mixture too runny). Sieve together the flour, bicarbonate of soda, cream of tartar and sugar. Beat the egg and stir it into the dry ingredients with the milk to give a fairly stiff batter. Have ready a hot, well-greased frying pan. (Don’t have the fat running in the pan – just grease the surface lightly). When bubbles appear on the pancakes’ surface turn them over using a knife or a slice. Cook until golden brown then remove from pan and place onto a cooling rack. Cover with a cloth (to prevent drying) and allow to cool. These Scotch pancakes taste great when they’re still warm served with just with butter or jam. What’s your favourite type of pancake? I am so pleased you both had fun making the scotch pancakes, they look perfect to me. Nice to know you are continuing a family recipe !